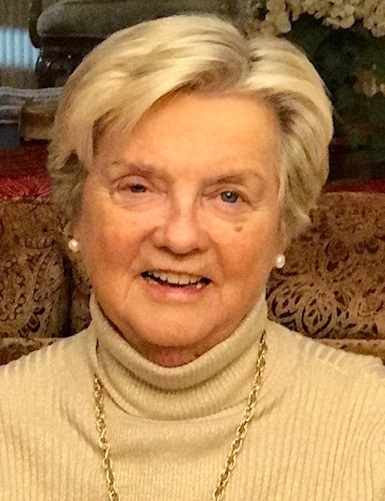 Catherine (Donahue) Sweeney, 78, of Bonita Springs, FL passed away peacefully surrounded by her loved ones on Tuesday, March 26th, 2019. Cathi grew up in Providence, RI with her parents William and Catherine Donahue where she was inseparable from her younger sister Frances Arrigan. She received a degree in education from Salve Regina University to pursue her lifelong dream of becoming a teacher. She taught for 30+ years in Providence public schools as an English as a second language specialist, serving refugee and immigrant children from vulnerable backgrounds from all over the world. She was married for 53 wonderful years to the great love of her life and her absolute best friend, Robert Sweeney. They were true partners - raising 2 children, Bob Sweeney Jr and Ann Sweeney McCann and enjoying 7 amazing grandchildren, Matthew, Lauren, Taylor and Marissa McCann, Meghan and Jack Sweeney, and Natalia Vladyka. She loved sailing up and down Narragansett Bay and the inter coastal waterway and sharing their time between Florida and Rhode Island. She was very accomplished pianist and was always laughing and loving with good friends. She was the life of every party, the first one you’d call with good news or in tough times, and the strong matriarch of her loving family. We are all so much better for having loved her and will carry her light with us forever. Relatives and friends are invited to attend a Mass of Christian Burial, on Saturday, at 10 am inSt. Catherine Church, 3252 Post Rd. in Warwick. Burial will follow in St. Joseph Cemetery, West Greenwich. Visitation, Friday, 4 – 7 pn in the Russell J. Boyle Funeral Home, 142 Centerville Road, Warwick.